The race is on! What's the race? Well, to kill 100 enemies, of course! Get your warrior geared up and head out into the arena. But you've gotta be careful of the other combatants, lest they come after you. 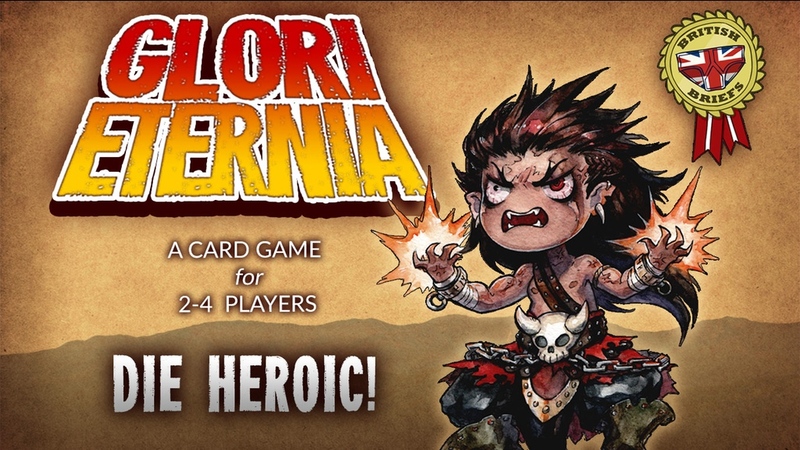 That's the story behind Glori Eternia, a new card game up on Kickstarter. The game is rather quick to learn and play. Players are given five cards. Then, on your turn, you can either play a card from your hand, or you can discard two cards. Obviously, each card has its own special ability that happens when you play it. So follow what happens on the card, hopefully moving yourself closer and closer to those 100 kills. At the end of your turn, just draw back up to a hand of five cards. Simple. The campaign's really close to funding (if they've not already gotten there by the time you read this), with 24 days left to go.